Today is a fun day Dragonfly Darlings. We are learning from the best upcycling, repurposing blogging group. 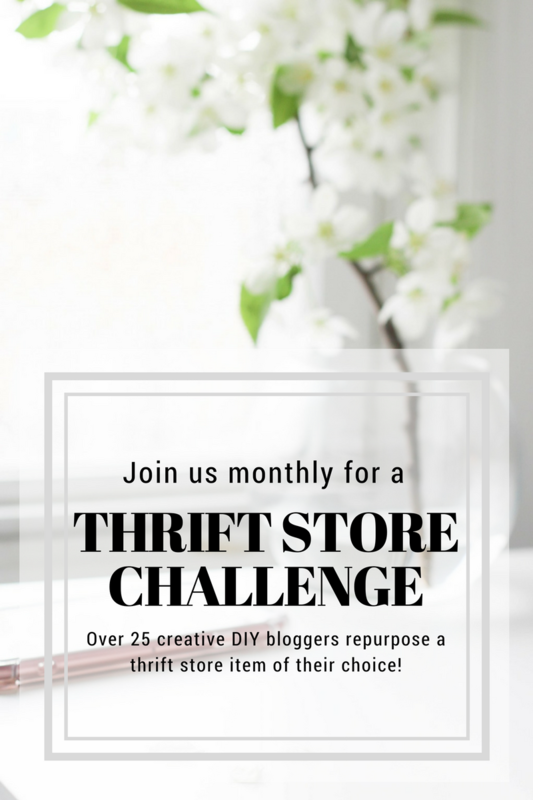 It is March Thrift Store Challenge Day!!! 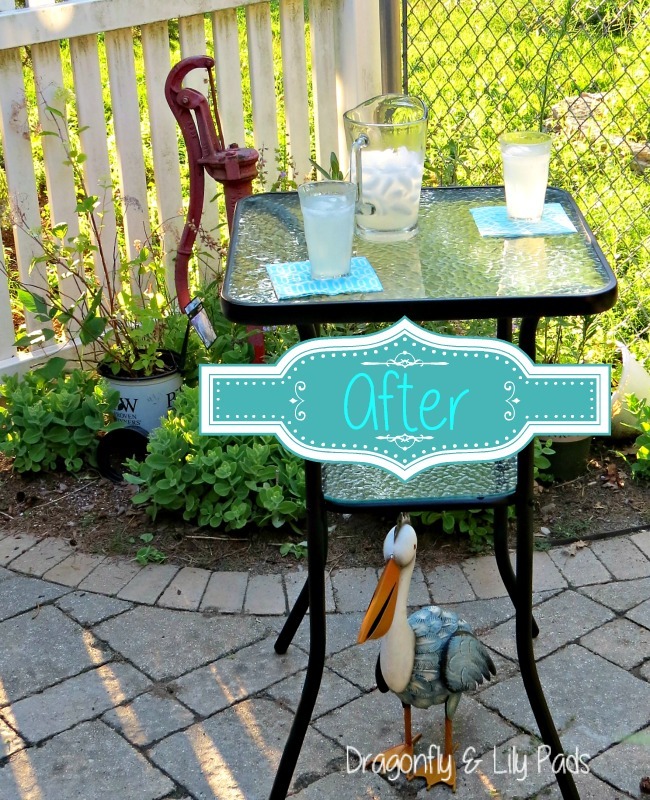 Learn How easy is it to take a Three Buck Table to it's new life. Perfect for a Spring project as we clean up our yards, plant gardens and when done sit back and enjoy some lemonade. There's no budget to stick to. Now I thought about showing you a before and after right here but, then you would not be so curious. Plus there is a whole lot of greatness at the end of this blog post from my friends. This is my 3 buck garage sale find. 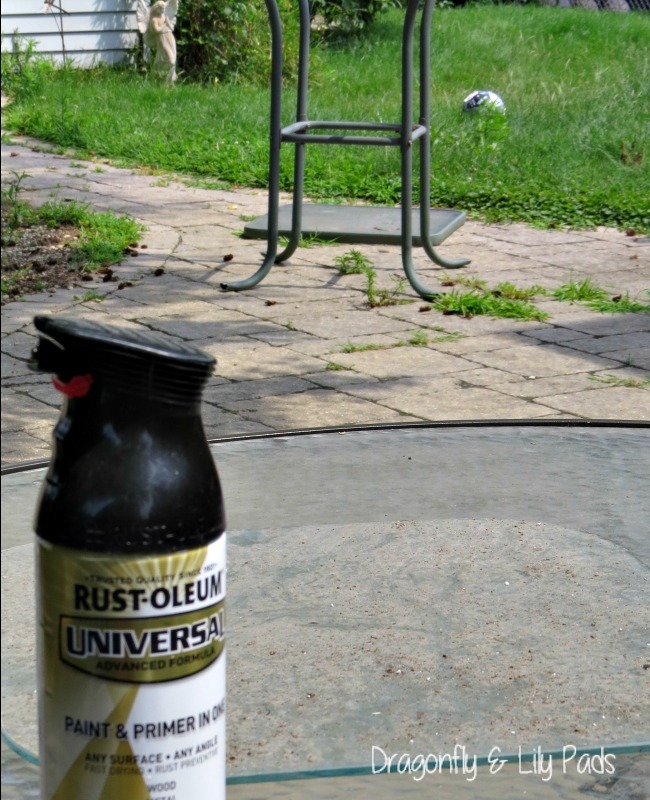 I am having the best luck because Rust-oleum happens to carry a color that is so close to my patio set. I am sure you have noticed by now I will not be sipping my lemonade any time soon. Yes I am embarrassed that Cricket's Soccer Ball is almost covered by grass and weeds. If the Spring graces you with a rain free day a girl has priorities. Focus on the project please because this is real life Darlins. 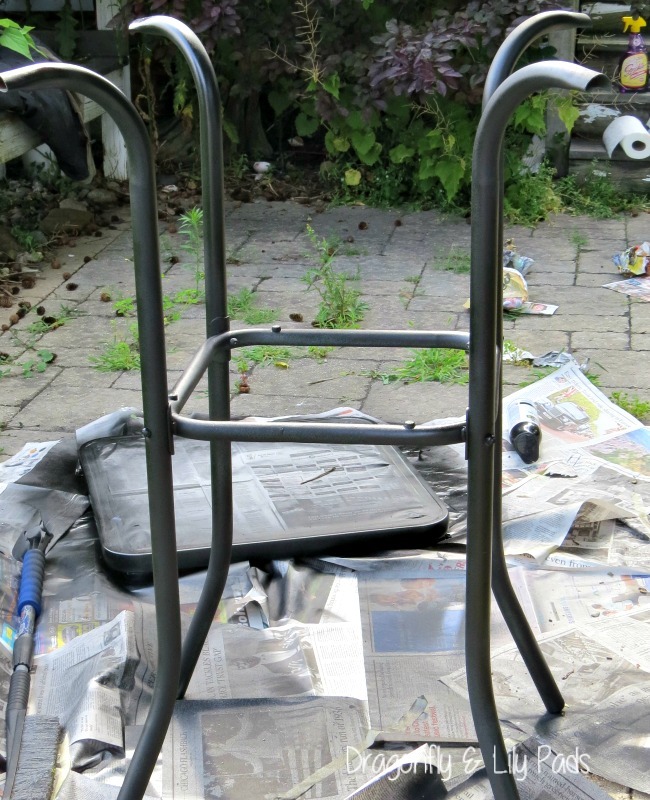 Two coats of primer covered the rusty spots while providing a good base for the darker black brown hammered finish. I used the newspaper to cover my brick pavers. In the future my suggestion would to use a painters tarp with heavy weights around the edges. This is a serious part of future plans since you might notice the trail of paper in this picture. Some blew away and others were literally stuck to my bare feet. I must have looked hysterical to the neighbors. What is worse is somewhere in my house is several tarps. Please remember I was squeezing this project between the rain. Ugh! Organizing is on my list I promise. The long shadows of the day on our front patio is a refreshing nook to sneak some quiet time at the end of an interesting afternoon. I poured some lemonade for you too since you have been my guest today. As promised I have included the Before and After at the End. I hope you feel the wait was worth it while you are sipping lemonade with me head on down below to see what my creative thrifty challenge friends have conjured up for you this month. Happy Spring Darlings! Wow, that looks like a brand new table! I didn't even know it was glass. You really revived it with the black paint. I just wish I had some of that lemonade! Great transformation! Great steal for $3. Visiting from Thrift Store Challenge. Wouldn't have believed it was the same table; it came out great! No need to apologize for your "spray booth"--we ALL have similar ones! My is atop a woodpile in the front yard; we have burned green, black, gold, and white wood over the years! 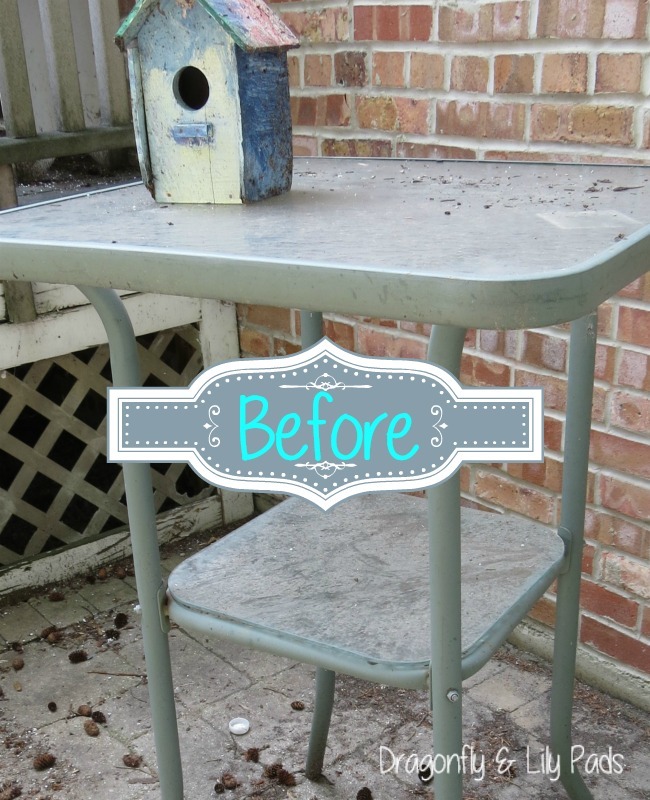 I love these spray paint projects that look so nice when finished with minimal work. This turned out lovely and the fact that it matches the rest of your patio furniture is a huge plus!!! I love it. Don't you just love paint...esp spray paint. That looks great. Thanks for sharing. Why this turned out great. I love how paint can solve most problems. Now you have the sweet little table to hold the glass of lemonade.